by choice and thoroughly enjoyed by those who participate. Throughout the month we host a wide variety of activities. They are aimed at people with all sorts of different interests and they are fun, light-hearted and easy to participate in. We make sure there is something for everyone. We are a member of the National Association for Providers of Activities (NAPA) and we ensure that our activities are inclusive and accessible and can be enjoyed by all our residents regardless of their abilities. We have regular visits from musical entertainers including a harpist, a pianist, singing sessions and various other musicians and choirs from the community. We have Yoga and Pilates instructors, as well as our own experienced staff who host fun and fitness sessions. A qualified physiotherapist regularly visits the home to teach balance and confidence classes. We also have an action sport class which involves chair exercises and games. These all help to improve flexibility, coordination and fitness, which in turn promotes independence and confidence. Our residents usually like activities that are productive and have a purpose. Many of our arts and crafts afternoons involve making items which are sold at our annual coffee morning to raise money for charity. This gives our residents a sense of achievement, fulfilment and involvement. Activities that are offered change from time to time as they are tailored to suit our residents likes and interests. These often include classical music, quizzes, games afternoons, card games, scrabble and film club. 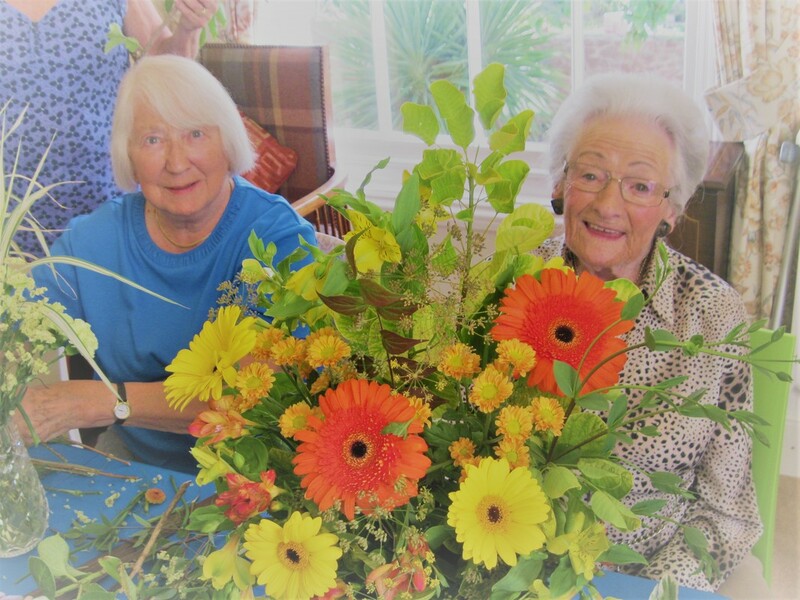 Garden club and flower arranging are enjoyed by those with green fingers.